For the next 12 days, I will showcase something I feel every runner, athlete or foodie would love to find under the tree this holiday season. For my first day of Christmas, I am showcasing the Halo Headband. Back in August, I had a giveaway for the Halo Headband. During the 3 1/2 months I have owned my Halo, I have become attached to it. In desperation one cold weekend, I bought a non-halo pullover headband to cover my ears. In less than two minutes running, I wanted to throw it away. It was not my Halo. I currently own three Halo headbands and need to purchase a winter pullover so I do not find myself in the situation above. 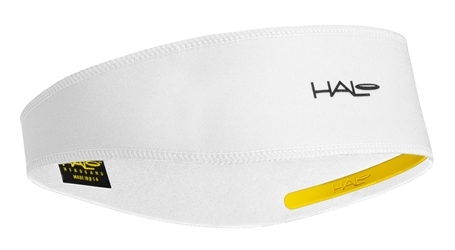 The Halo Anti-Freeze pullover headband would be at the top of my wishlist during winter runs. Below is my original Halo II Headband which I have owned since August. It has not lost its shape, however when I purchased my new red one, I noticed it was a little tighter than the one I own in black. I will tell anyone who will listen that this is the best headband you will ever own. It prevents sweat from running into your eyes. As mentioned above, I have become attached to it and do not like running without it. Gabe owns the Halo Tie Headband and loves it as much as I love the one above. I think he was sad that I didn't get him the headband in red as he secretly wanted to feel like Rocky when he runs. Even though my Step Dad is not a runner, I am buying him one of these for when he works in the yard. These headbands can be used for a variety of different activities. 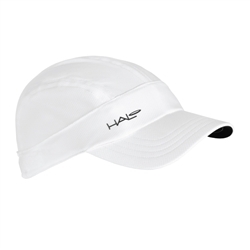 How great is the Halo Sport Hat ? 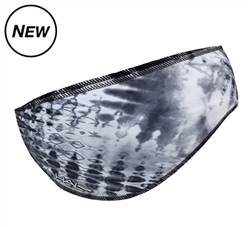 This is the perfect solution to keep the sun and sweat out of your eyes.